Soak mekabu in hot water to cover for 10 minutes, drain and soak in cold water for 2 more minutes. Drain mekabu. Cook mung bean noodles as package directs, rinse and drain. 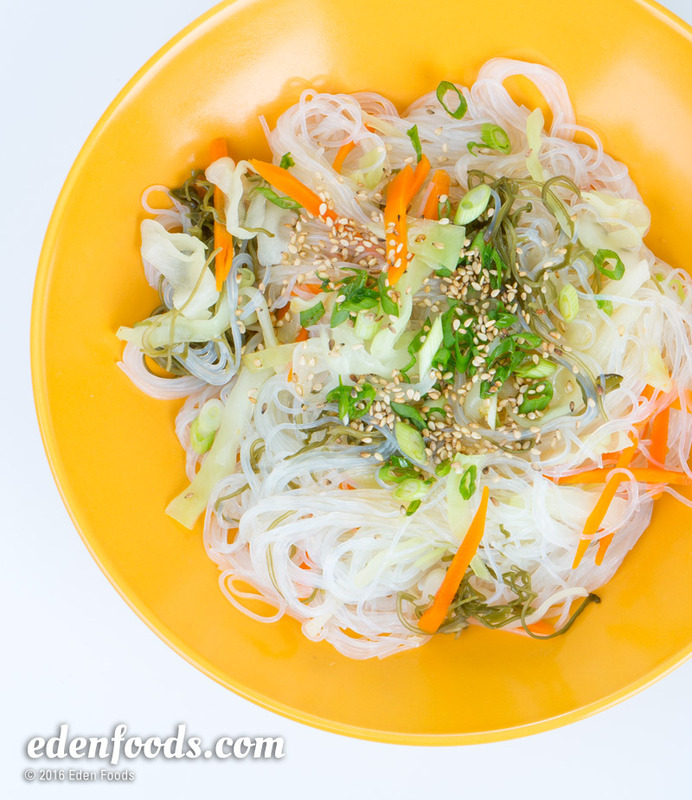 Place noodles, carrot, cabbage, scallions and mekabu in a mixing bowl. Combine vinegar, mirin, oils and shoyu. Mix and pour over noodles. Gently toss to mix.